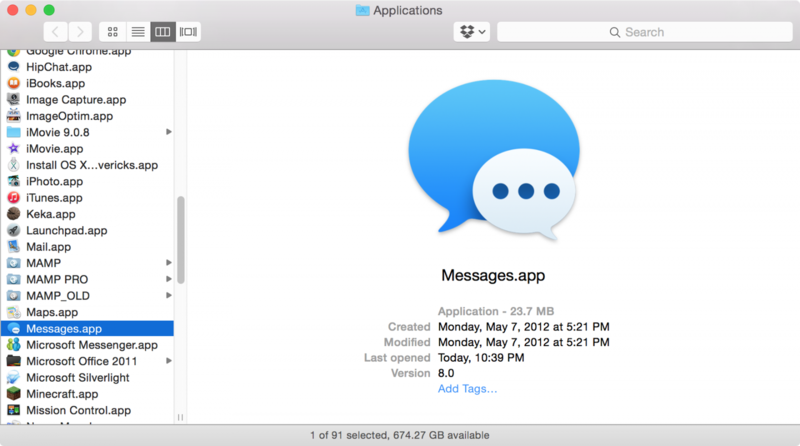 I recently upgraded to Yosemite, which allows you to send and receive iMessages, or Messages, from your computer, rather than your phone. While this is certainly a novel feature, it can be quite distracting and, unfortunately, the feature is enabled by default. After days of lost productivity as a result of receiving inane messages while programming, I decided to disable it. 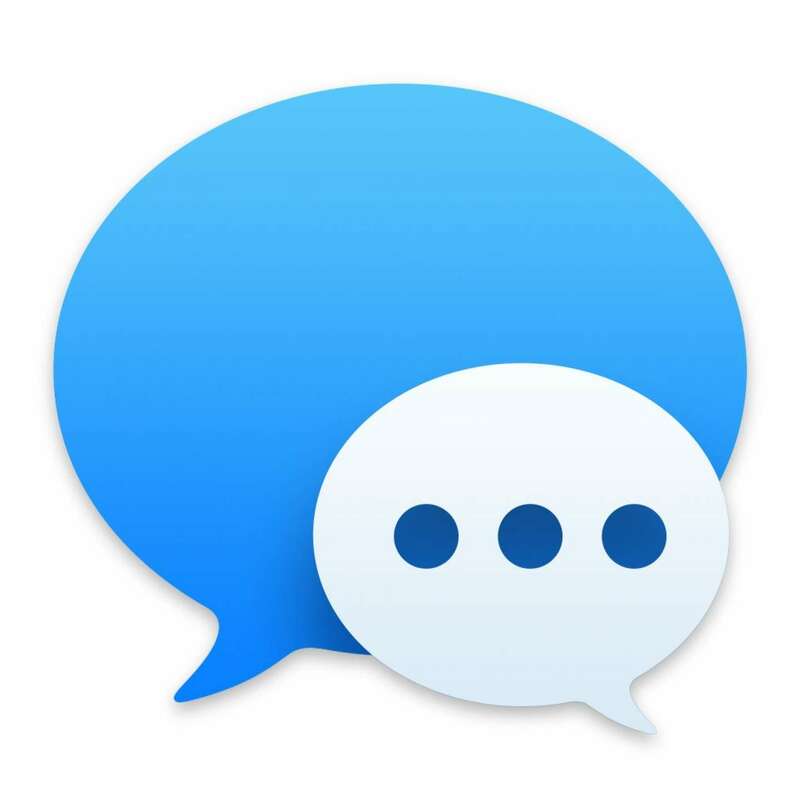 It's best to disable it from your computer so that you can still utilize iMessage's functionality within your iOS device. 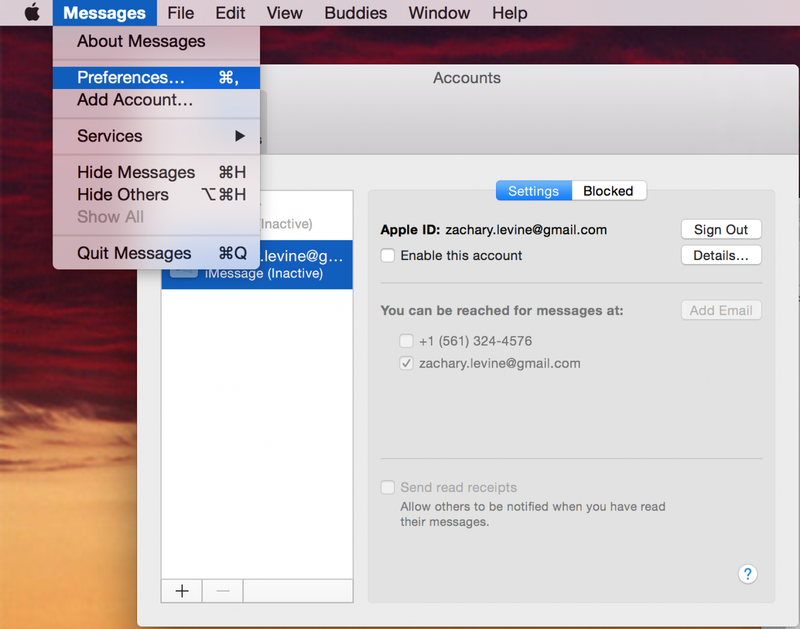 tl;dr; Disable iMessage on your Mac without disabling it on your phone. This works for both Messages in MacOS and iMessage in OS X. On your computer, navigate to Applications > Messages.app (or use Spotlight). In the menu bar, Navigate to Messages > Preferences. Then, select the Accounts or iMessage tab. 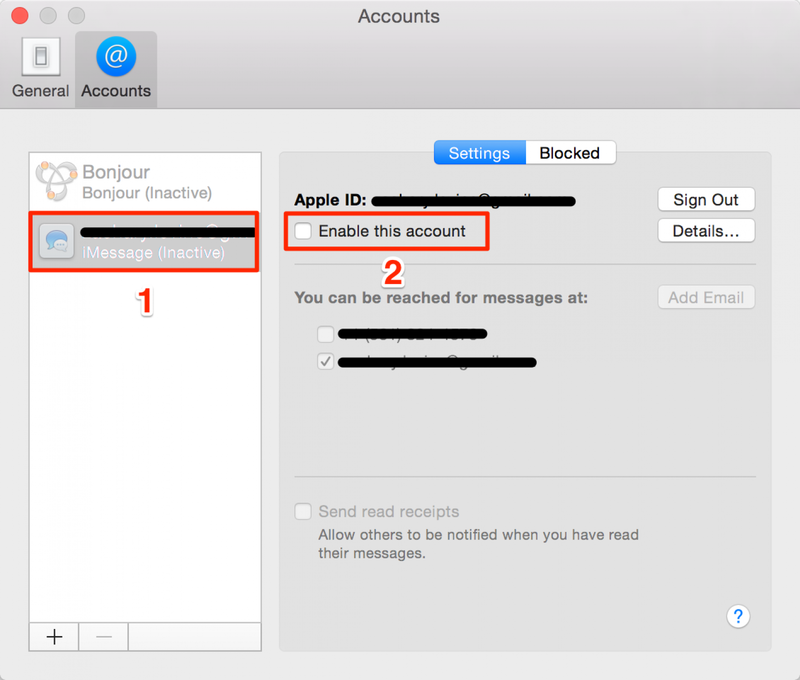 Depending on your version of MacOS/OS X, the tab might be labeled "Accounts" or "iMessage". In the sidebar, select your iMessage account (1). Then, uncheck "Enable this account" (2). Close Messages and you're done!